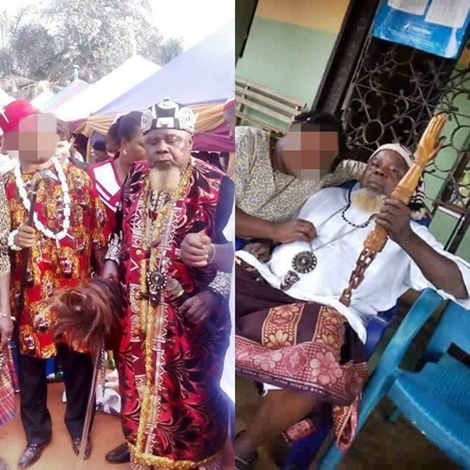 Legendary Igbo musician, Pericoma, who became famous for stopping illegal tax collectors a.k.a Agbero boys at Upper-Iweka in Onitsha, has reportedly passed away. 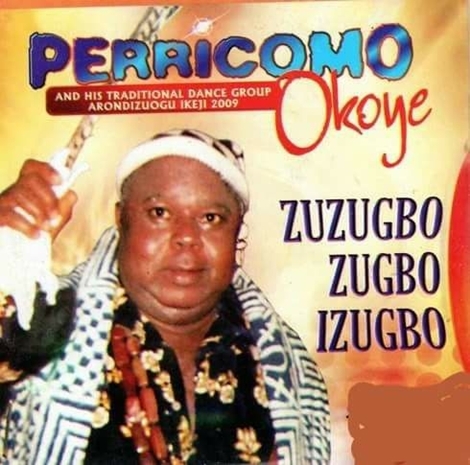 A Facebook user, Onyelike Achiever Darlington, has taken to the social media platform to announce the passing away of legendary Igbo musician and traditionalist, Ichie Mezuo Pericomo Okoye, Arusi Makaja 1, a.k.a Pericoma. "An Icon and Legend of our time has gone Home, Rest In Peace to the Big Masquerade of Igboland, Ichie Mezuo Pericomo Okoye, Arusi Makaja 1 of Igboland popularly known as Pericoma. What a Great Loss!!! "His burial is taking place today. R.I.P"
Pericoma who was said to be a great traditionalist, musician and medicine man, became famous for stopping illegal tax collectors a.k.a agbero boys at upper-iweka Onitsha. He was on his way to onitsha when he was waylaid by agberos who demanded for his tax receipts. He ignored them and they lifted him on their shoulders enroute their office. He jazzed them and refused to come down from their shoulders for hours until they pleaded and made sacrifices to his deity. That singular act instilled fears in the heart of all agberos operating at upper iweka, thereby curtailing their excesses.